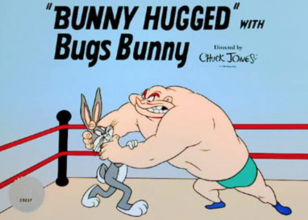 This Bunny Hugged Bugs Bunny and Crusher sericel by Chuck Jones is a wonderful interpretation of the title card for the 1951 Looney Tunes short. 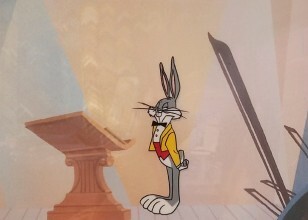 Bugs Bunny is an animated cartoon character; created in 1940 by Leon Schlesinger Productions (later Warner Bros. Cartoons) and voiced originally by Mel Blanc. 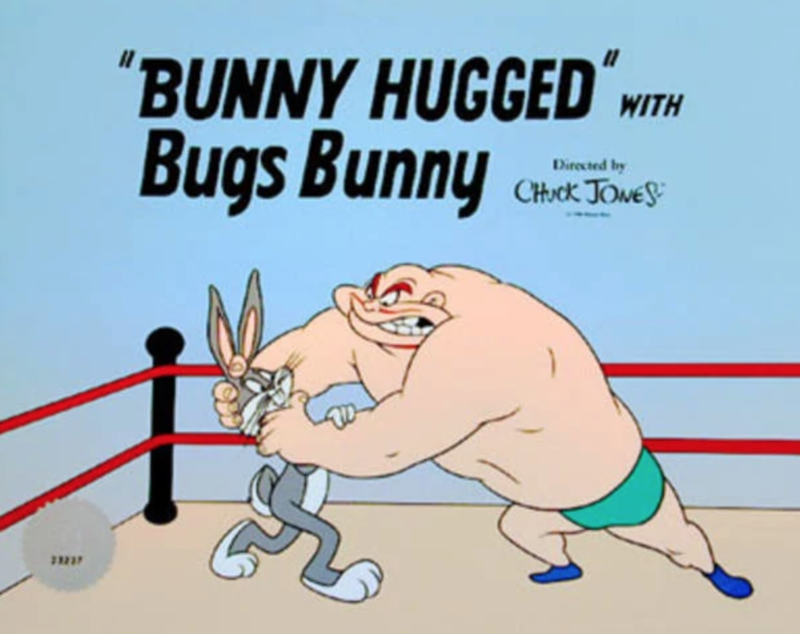 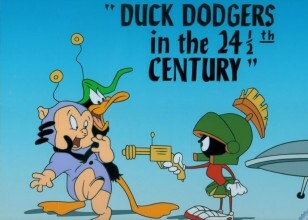 Bugs is best known for his starring roles in the Looney Tunes and Merrie Melodies series of animated short films, produced by Warner Bros. Due to his popularity during the golden age of American animation, he became an American cultural icon and the official mascot of Warner Bros. Entertainment.